This book and the one that follows helped shape my 2017 fiction reading list, and informed my responses to the works I read. MacCarthy's book, which first appeared in the 1940s, is like sitting down over a glass of good wine with an incredibly well-read and discerning friend. I had to keep stopping to jot down the authors and titles of books I had never heard of but that sounded intriguing, such as Elizabeth Griffith's The Delicate Distress (1769) and Susannah Gunning's Memoirs of Mary (1794). MacCarthy is also the reason I read Charlotte Smith's novels, Eliza Haywood's Miss Betsy Thoughtless and Charlotte Lennox's Henrietta, all of which made my list of favorites this year. Instead of imposing an overarching ideological framework on the books she discusses, MacCarthy offers detailed description and sympathetic but not uncritical readings. If you are thinking of exploring writing by women from Aphra Behn to Jane Austen, MacCarthy is an excellent guide. 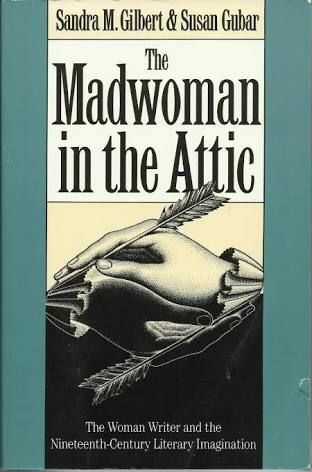 Given my strong interest in 19th-century literature it's surprising that it took me so long to pick up Gilbert and Gubar's The Madwoman in the Attic, which has achieved classic status. (The title, of course, is a reference to Rochester's wife Bertha in Jane Eyre.) 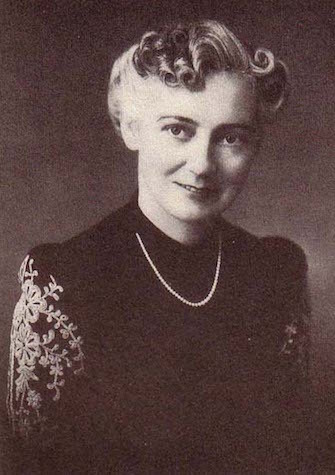 The authors don't lack for Big Ideas, but it is those very ideas—in particular, Freudian criticism and the sort of feminism that speaks sweepingly of monolithic male power—that can make The Madwoman in the Attic seem dated at times. Here's a sample that verges on unintentional parody: in discussing the short story "The Lifted Veil," Gilbert and Gubar write, ". . .George Eliot apparently identified with the failed aspirations of a fallen Satan because of her own sexually engendered fears of flying and falling. . ." (p. 456) "Apparently," although they offer no evidence? "Fears of flying and falling" rather than, say, drowning, which is the fate of characters in Adam Bede, The Mill on the Floss and Daniel Deronda? "Sexually-engendered"? As they say on the previous page, "All of this would seem to lead us far afield from 'The Lifted Veil.'" Indeed. [Mirah's] angelic resignation [of her stage career] is contrasted directly with the demonic ambition of the Princess Halm-Eberstein, Daniel Deronda's mother. Stricken with the same sort of 'double consciousness' (chap. 51) as Latimer [in 'The Lifted Veil'], the Princess knows that 'every woman is supposed to have the same set of motives, or else to be a monster' (chap. 51). . .the Princess explains to her son that he cannot understand her rebellion against forced renunciation: 'You are not a woman. You may try—but you can never imagine what it is to have a man's force of genius in you, and yet to suffer the slavery of being a girl' (chap. 51). Passages like this in The Madwoman in the Attic inspired me to read Daniel Deronda, which is also included in my favorite fiction of 2017. At half-past three on Saturday afternoon, September 19, 1846, Elizabeth Barrett left her family's house in Wimpole Street, London, to go to Hodgson's bookshop around the corner in Great Marylebone Street. Barrett, who suffered from chronically poor health, had spent most of the past six years in virtual seclusion in her bedroom, seeing only a few regular visitors and venturing out of her room infrequently. As usual on her rare expeditions outside the family home she was accompanied by her maid, Elizabeth Wilson, and her dog Flush. Barrett was secretly meeting Robert Browning, who had been corresponding with and visiting her for the past two years, and who, a week earlier, had married her in a clandestine ceremony. After meeting in Hodgson's bookshop, the couple left together for Paris. While back in London Barrett's dictatorial father raged at the news of their elopement (he disinherited Elizabeth and never spoke to her again for the rest of his life), they travelled on to Italy, where they were separated only by her death 15 years later. It's an astonishing story, told through the letters Browning and Barrett exchanged almost every day during their courtship. Their letters, together with incidents from their twice-weekly personal meetings, became the basis for one of the most beloved sonnet sequences in English literature, Sonnets from the Portuguese. 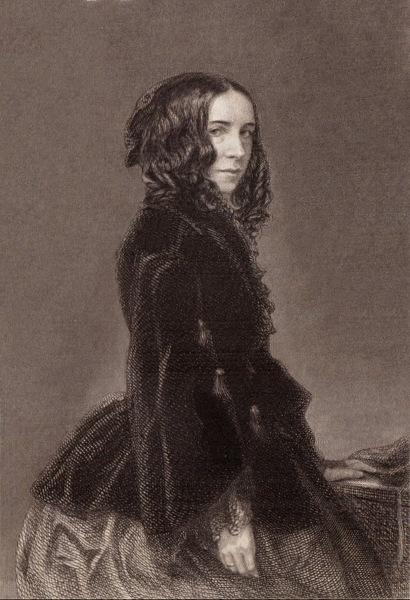 For a fuller story of their courtship and links to the digitized letters and the Sonnets, please see the first of five posts about Elizabeth Barrett and Robert Browning. When the musicians attempting to play Beethoven's Op. 59 quartets complained to him of the unprecedented difficulty of the pieces, the composer is said to have responded, "Oh, they are not for you, but for a later age." 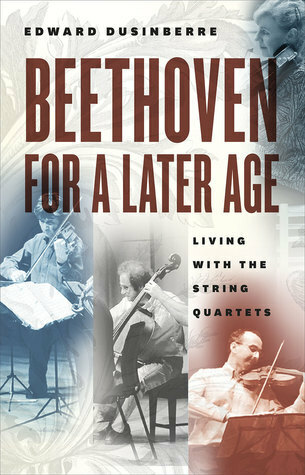 Perhaps that age has not quite yet arrived, because the Beethoven quartets can still shock and confound. I had the very great fortune in the past year of seeing the Takács Quartet perform all of Beethoven's music for string quartet in a series of concerts (and surrounding activities) sponsored by Cal Performances. For my thoughts on Beethoven and the experience of the concert series, please see "For a later age," "Not beautiful," and "The other Beethoven." 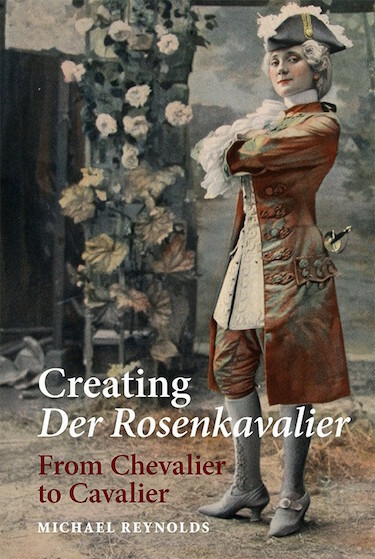 . . .Reynolds' detective work has shown that the opera [Der Rosenkavalier] owes its existence to a creative trio: Richard Strauss, Hugo von Hofmannsthal, and the collaborator who has finally gained some recognition for the extent of his contributions, Count Harry Kessler. . .Reynolds has uncovered a treasure trove of production photos, programs, scores, and other materials, and has thoroughly investigated the myriad sources of both Der Rosenkavalier and the work that it was largely modelled on, L'ingénu libertin. . .If you love Der Rosenkavalier, Reynolds' book is essential—and fascinating—reading. Over a cup of coffee at a campus cafe a decade ago, UC Berkeley molecular biologist Jennifer Doudna learned about CRISPR from her colleague Jillian Banfield. CRISPR (clustered regularly interspaced short palindromic repeats) are highly regular sequences of DNA that had been found in many single-celled organisms such as bacteria, but at the time their function was unknown. Doudna began work on the CRISPR system and after years of effort she and her colleagues discovered that it plays a key role in the bacterial immune system. CRISPRs matched sections of viral DNA. When a similar virus invaded the cell, CRISPR, together with proteins generated by CRISPR-associated system genes (Cas), targeted the same sequence in the virus and cut it. 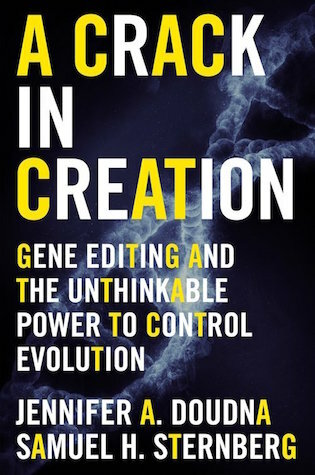 Doudna realized that a system that targeted and cut specific sequences of DNA could be used to edit genes in any organism. She and members of her lab developed a simplified and highly precise gene editing technique using CRISPR and one of the Cas proteins, Cas9. Not only could specific genetic sequences be cut, but new sequences could be introduced that would be spliced into the gene by DNA's natural repair mechanisms. The implications are mind-boggling. It is now possible (in theory, at least) to eliminate diseases that are caused by small genetic variations, such as sickle-cell anemia, or by viruses such as HIV. It is also possible to edit genes in the germ line, making any changes heritable. And it may also be possible to spread a particular gene through an entire species using gene drive. In gene drives, both specific genes and the CRISPR system to introduce the genes are passed from generation to generation. In fast-reproducing species the selected genes will quickly become dominant. In this way, for example, mosquito-borne diseases could be wiped out by releasing sterile mosquitoes engineered with gene drive, causing the population to crash (and also causing a possibly catastrophic cascade of effects across the ecosystem). * The first version of this post inexplicably omitted Beethoven For A Later Age from my list of favorites; my sincere apologies to the author.